This early history of Coshocton City Schools was compiled by A.C. Pence in 1929. The first school in Coshocton was established in 1807 in a recently vacated house on Second Street. The first teacher was Joseph Harris. In 1828 a little brick school house, 20 feet by 30 feet and containing one room, was built. This building was used until 1853. Each child was charged $2.00 per quarter, this to be paid in "common country produce". 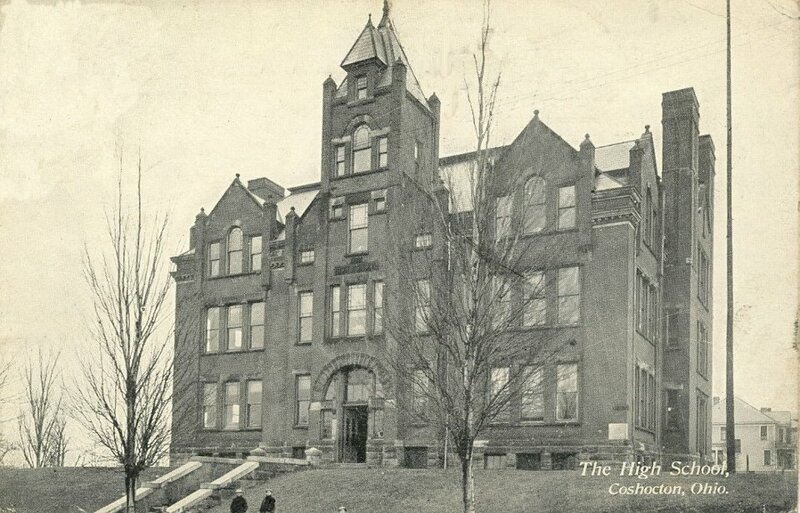 In 1849, the citizens of Coshocton established the first graded school. The first regular School Board meeting was held on April 20, 1850. In 1855, the Union School, also known as the "old Sycamore School" (see below) was built at a cost of $4,500. The bell was added several years later having been purchased with money collected from violators of the liquor laws. In 1862 the tuition in the high school was $1.50 per month. On June 2, 1862 the Board of Education set a tax of two mills on the dollar of all property for school purposes. In 1868 this was raised to two and a half mills. The levy in 1869 was nine and a half mills. 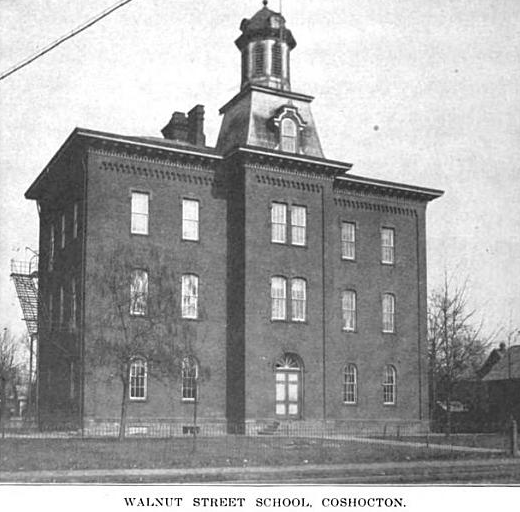 A tax of seven mills on the dollar was levied so that the Board of Education in 1871 erected a two story brick building on the north-east corner of Walnut and Seventh at a cost of $15,000. 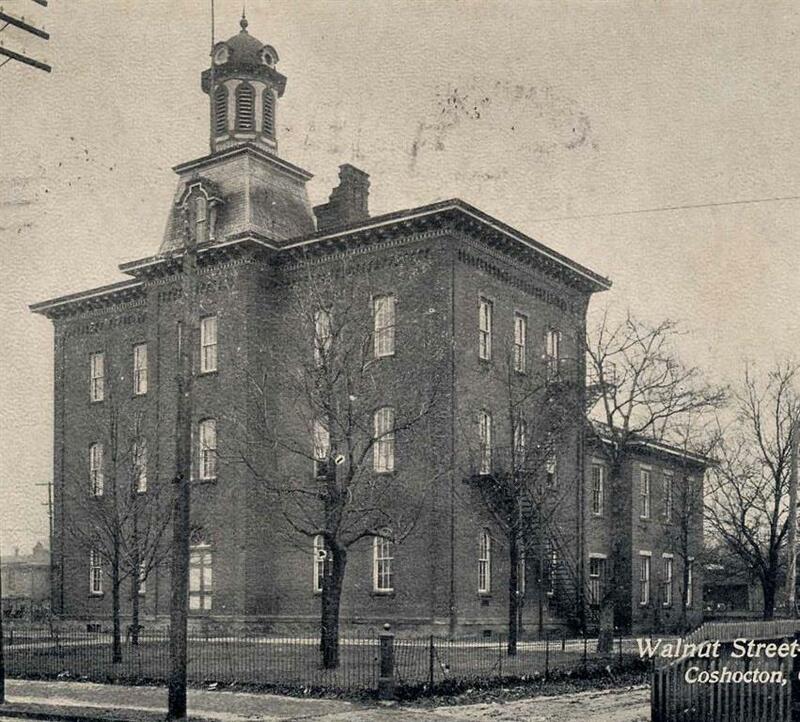 In 1878, a three story addition was built on the front of the old Walnut Street building at a cost of $10,885. The second picture shows the original two story building at the back. The Chestnut Street School, currently City Hall, was erected in 1887 at a cost of $29,000 and was used as a high school until 1914. 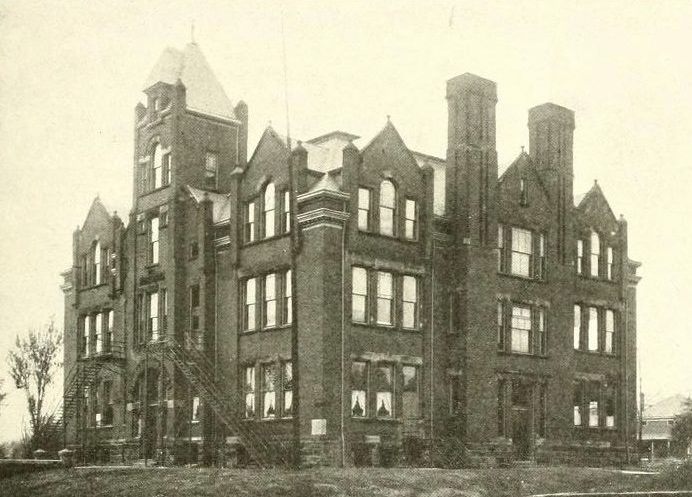 The South Lawn Building was erected in 1900. The Bancroft Building was erected on the corner of Orchard Street and S. 11th Street in 1902 at a cost of $12,300. 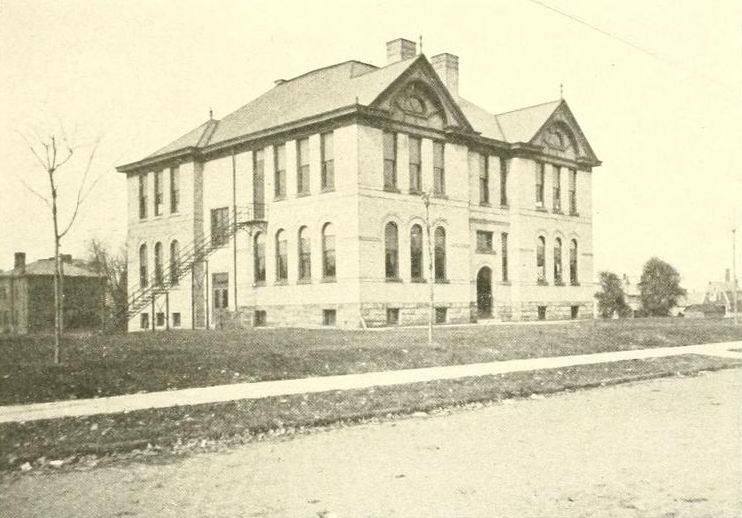 Lincoln Elementary was erected in 1909 at a cost of $30,000. 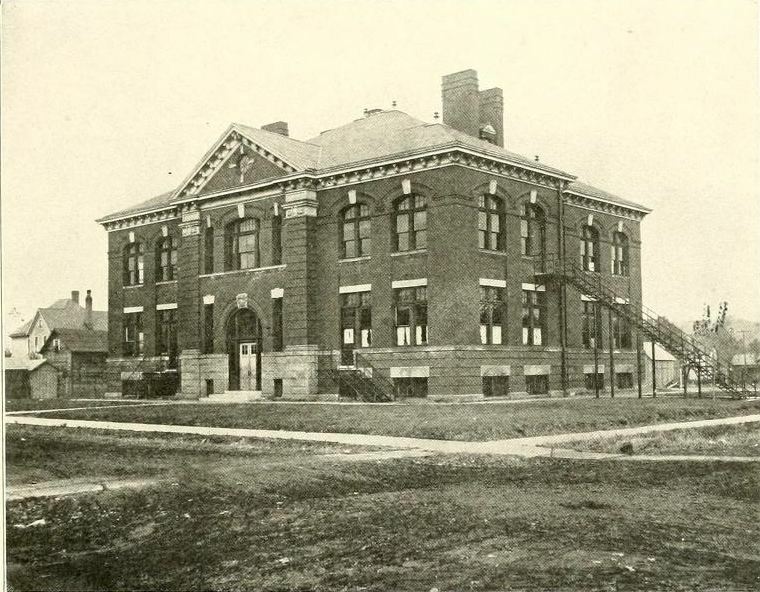 Central High School was erected on the Walnut Street site in 1914 for $80,000. 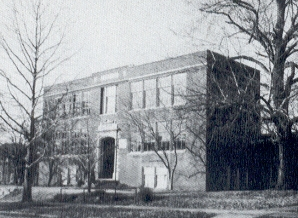 The junior high addition (on the right side) was added in 1923 at a cost of $160,000. The new Sycamore building was erected next door to the original building in 1921 at a cost of $22,000. Washington School was built at the corner of 16th and Chestnut Streets at a cost of $40,000 in 1931. 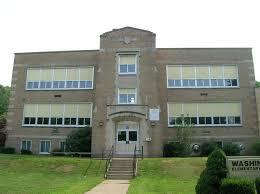 Coshocton High School was built at 1205 Cambridge Road and dedicated in 1969. 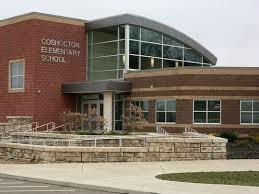 Coshocton Elementary School consolidated all neighborhood schools in Coshocton into one new elementary building in 2013. Central Elementary and Lincoln Elementary properties were sold and the buildings were demolished. South Lawn was sold and is in use for another purpose.